Branding is the message and image you share on your blog. I think this is one of the most important factors as it show your readers who you are, your style and creates your own personal identity. Before starting your blog I would suggest sitting with a pen and notepad and planning what you want your blog name to be, what colour theme would you like, photography presentation, what topics will you focus on and what voice will you present through your posts. It's ok if over time this changes because you grow and learn more about yourself too! HOW MUCH MONEY DOES BLOGGING COST? As you are just beginning, the aim should be to spend as little or near enough to nothing. If you're going to spend anything, I would suggest focusing on getting a custom domain name (this is without the wordpress or blogspot on the end) as it will make your blog more unique to you and brands/company's prefer this. You could also buy products and items to give you something to blog about! On the other hand, you can find free templates on websites like Themexpose - if you start of with a basic free template, it's easy to then adapt it to suite yourself. For years I used XOMISSE to teach myself different html techniques, it's really handy! The last point I wanted to mention was the power of social media - if you're looking for more blog engagement then creating social media accounts specifically for your blog is going to work. I personally use Twitter and Instagram when promoting new blog posts as these are the most popular. There are also Twitter chats hosted on different nights (I created a post about these last year here - it also includes the schedule) this helped me a lot in the beginning of my blogging days as I began to read and comment on other blogs which brought engagement to my own. 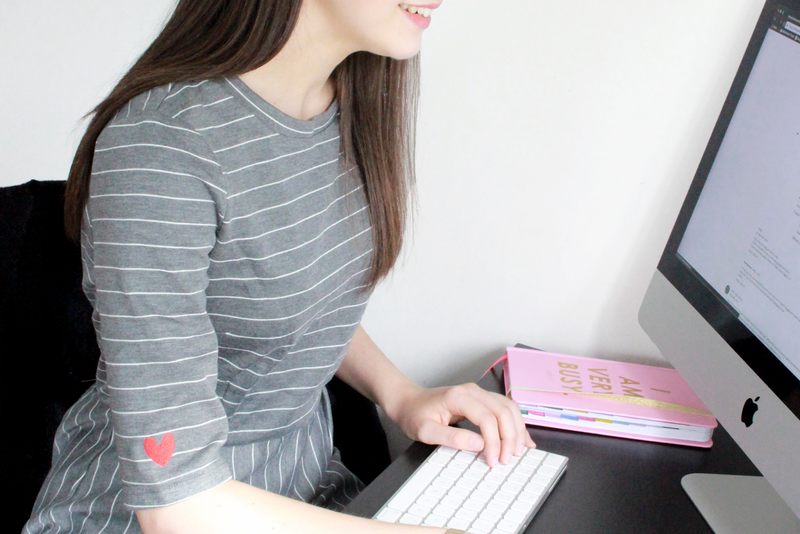 Let me know if you have any other tips for new bloggers in the comments! I wish I had this when I started blogging two years ago, I would also say that when starting out you don't just grow overnight which I think people believe these days compared to me being amazed at 10 people reading a post back in the day! Such a good idea to roll an outfit + chatty post into one - I often struggle to write about outfits anyway so that's really smart! I totally agree on the social media front, if I could go back in time with my blog that's the one thing I'd put more focus on. Haha this is random but we've the same glasses X Also I'm a fairly new blogger so these helped!